Much to our surprise, the next-generation Audi A5 and S5 Sportback have finally made their media debut tonight, however, it is the styling that arrives as expected. 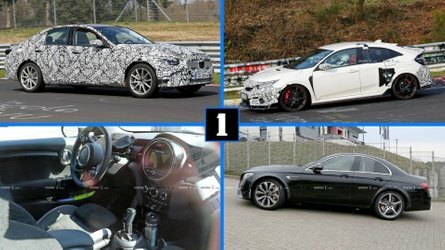 With the speculation coming from spy photos and artist renderings since October last year, the visual revisions are on a subtle level, as already foreshadowed by the A5 Coupe. 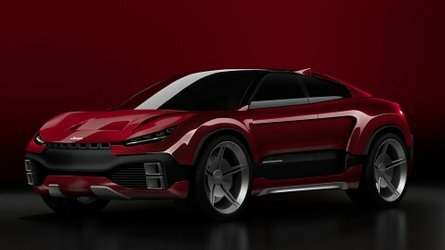 Seven years in the making, and just ahead of its public debut in Paris next month, this second generation five-door coupe features a stretched wheelbase, short overhangs, wraparound domed hood, and a singleframe grille that is flatter and wider than the previous model. The shoulder line is deeply accentuated with a protruding double crease traveling just above the door handles. The rear end is a bit more shapely with the focal point being the arched luggage lid with its almost spoiler like lip edge. The new Audi A5 Sportback interior, which has carried over from the new A4 sedan, has grown significantly. Length has increased by 17 millimeters (0.7 inch), driver and passenger's shoulder room is up 11 mm (0.4 in), and rear knee room has 24 mm (0.9 in) more. Judging by the photos, the interior is typical Audi sophistication with premium materials, precision of fit, and luxurious color blends. The instrument panel features a large 12.3-inch Audi Virtual Cockpit while the MMI comes with an 8.3-inch screen, touch-sensitive, and rotary control buttons for versatile operation of the infotainment system. At market launch two TFSI and three TDI engine versions will be available. They will produce between 190 horsepower (140 kilowatts) and 286 hp (210 kW) of power. The most powerful version at launch is going to be the S5 with its turbocharged 3.0-liter V6 engine that produces 354 hp (260 kW). This is 21 hp (15 kW) more than the outgoing S5. The sprint from standstill to 62 miles per hour (100 kilometers per hour) arrives in just 4.7 seconds and continues on up to an electronically limited top speed of 155 mph (250 km/h). Transmissions include six-speed manual, seven-speed S tronic dual-clutch, and eight-speed tiptronic. New to the range is a bivalent A5 Sportback g-tron which includes a 170 hp (125 kW) 2.0 TFSI engine and can run on Audi e-gas, natural gas as well as gasoline. Somehow, the new Audi A5 Sportback is the lightest in the segment as the overall weight of this new generation riding on the MLB Evo platform has fallen by as much as 187.4 pounds (85 kilograms) to just 3,240.8 lb (1,470 kg) despite its larger size. The new Audi A5 and S5 Sportback arrives in Germany and Europe in early 2017. The A5 Sportback starts from EUR 37,800 ($42,500). The price for the S5 is EUR 62,500 ($70,285). The wave-pattern shoulder line imparts the A5 Sportback with emotional elegance. It is even more strongly accentuated than on the previous model and traces all three dimensions. This creates an interplay of light and shadow. The pronounced bulges over the wheel arches underscore the quattro DNA. The rear end exhibits horizontal, equally highly precise styling. The stretched luggage compartment lid terminates with a characteristic spoiler edge. 24 millimeters (0.9 in). The sophisticated materials, precision of fit and color harmonies in the interior are typical of Audi. The horizontal architecture of the instrument panel creates a sense of spaciousness. The optional ambient lighting with 30 colors to choose from always evokes a fitting interior mood. Playing a central role here is the adaptive cruise control (ACC) Stop&Go system including traffic jam assist. It relieves drivers in slow-moving traffic up to a driving speed of 65 km/h (40.4 mph) by assuming the tasks of braking and accelerating the car, and it also temporarily takes charge of steering it on better roads. 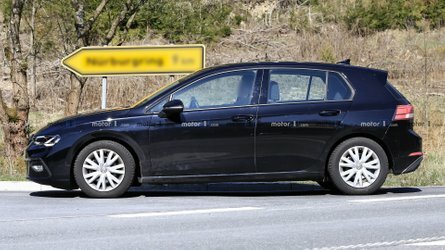 The predictive efficiency assistant, which evaluates GPS information from the car’s immediate surroundings, helps to save fuel by giving specific driving advice – a unique feature in this segment. Collision avoidance assist intervenes if the car needs to drive around an obstacle to avoid an accident. Based on data from the front camera, ACC and radar sensors, it computes a recommended driving line within a fraction of a second. The lineup is rounded out by other assistance systems such as turn assist, park assist, cross traffic assist rear, exit warning, camera-based traffic sign recognition, Audi active lane assist and Audi side assist. The wide track and comparatively long wheelbase are key features of the balanced, sporty suspension tuning. The track width is 1,587 millimeters (62.5 in) at the front and 1,568 millimeters (61.7 in) at the rear. The wheelbase measures 2,824 millimeters (111.2 in). The front axle features redesigned five-link suspension, while a five-link construction replaces the trapezoidal-link rear suspension used previously. The adaptive dampers available optionally are integrated into the standard Audi drive select dynamic handling system. They make for a driving experience that is both dynamic and comfortable. The new electromechanical power steering provides better road feedback and steering precision. Optionally available is dynamic steering, which varies its gear ratio depending on the speed and steering angle. Customers can choose between two TFSI and three TDI engine versions for the new Audi A5 Sportback. They produce between 140 kW (190 hp) and 210 kW (286 hp) of power. Compared with the previous model, Audi has reduced their fuel consumption by as much as 22 percent while increasing power output by up to 17 percent. Six-speed manual transmission, seven-speed S tronic dual-clutch transmission or eight-speed tiptronic – there is tailor-made drivetrain technology available for every engine version. Front-wheel drive is standard, with quattro all-wheel drive available as an option in two versions. It is standard for the 3.0 TDI with 210 kW (286 hp). The V6 turbo engine accelerates the equally new Audi S5 Sportback from 0 to 100 km/h (62.1 mph) in 4.7 seconds, and on up to an electronically governed top speed of 250 km/h (155.3 mph). It features quattro and the eight-speed tiptronic as standard. In a new departure, the Ingolstadt carmaker now also includes a bivalent A5 Sportbackg-tron in its range. Its 2.0 TFSI engine develops 125 kW (170 hp) and can run on Audi e-gas or natural gas, but also on gasoline. The body of the new Audi A5 Sportback is the lightest in the segment. An intelligent mix of materials makes it 15 kilograms (33.1 lb) lighter than that of the predecessor. The overall weight of the new generation has fallen by as much as 85 kilograms (187.4 lb) to just 1,470 kilograms (3,240.8 lb), excluding the driver. Audi offers the model with an upgraded list of standard equipment that includes a wide range of extra functions. The new lines concept with various equipment packages enhances the scope for individual design expression. The new Audi A5 and S5 Sportback will roll into showrooms in Germany and other European countries at the start of 2017. The A5 Sportback starts from EUR 37,800. The price for the S5 is EUR 62,500. 4,733 millimeters (186.3 in) in length, a 2,824 millimeter (111.2 in) wheelbase, 1,843 millimeters (72.6 mm) wide and 1,386 millimeters (54.6 in) high – the new Audi A5 Sportback* displays sporty, balanced proportions. Audi’s designers have combined dramatic shapes and athletically taut surfaces in the design of the five-door coupé. The stretched wheelbase, the short overhangs and the long, wraparound front lid with power dome emphasize the model’s dynamism. Another distinguishing feature of the new A5 Sportback is the sporty front end. The three-dimensionally modeled Singleframe grille is significantly flatter and wider than on the previous model. Depending on specification, the radiator grille comes in subtle black matt. On the sport trim line its basic color is twilight gray matt with horizontal slats in aluminum silver matt. In the design trim line it is in elegant dark titanium black with horizontal slats in chrome. The side air intakes have bold edges and optionally – with the S line exterior package – honeycomb grilles and a sporty, horizontal trim strip in aluminum silver matt extending across the entire front end. The wave-pattern shoulder line imparts the Audi A5 Sportback with emotional elegance. The characteristic design feature, already present on the previous model, is now even more striking with its three-dimensional character. The interplay of light and shadow becomes all the more alluring. The long sweeping wave with the pronounced bulges over the wheel arches underscores the quattro DNA. At the transition from the front wheel arches to the doors, a three-dimensional chrome trim element highlights the sporty ambitions of the new A5. From the A-pillar, which has been shifted far to the rear, the roof extends over the athletic body with its frameless doors as a flat, flowing dome. The front and rear side windows are given emphasis by a trim strip in aluminum silver, matt. The rear end exhibits clearly horizontal and three-dimensional styling. The stretched luggage compartment lid in aluminum terminates with a striking spoiler edge that also enhances the aerodynamics. Separate reflectors in the lower section of the rear apron, which is painted in the body color, emphasize the width. The slim, three-dimensionally shaped rear lights come in LED technology as standard, and an LED lighting signature underlines their sculptural geometry. The delicate brake light sits below the luminaries, and the dynamic turn signal (with LED headlights and higher) forms a precise strip in the upper section. The third delicate brake light on the upper edge of the rear window spans its entire width. The finely contoured headlights in the new Audi A5 Sportback harmonize perfectly with the horizontal lines of the front end. They are positioned slightly above the top edge of the Singleframe grille, which is drawn down quite far – a surprising design detail and a first in the A5 model line. With the options LED headlights and Audi Matrix LED headlights, LED technology is used for all lighting functions. The new lighting signature of the Audi Matrix LED headlights creates a characteristic, focused four-eye face reminiscent of the Ur-quattro. 18 LEDs shine through two lenses to produce the high beam of the Matrix LED headlights. Provided with information from the camera on the interior mirror, the LED control unit switches them on individually or dims them in 64 stages as necessary. This enables the Matrix LED headlights to produce several million light distribution variants. They always illuminate the road optimally with a quality of light similar to daylight, without dazzling other road users. To prevent the driver from being blinded by glare from highly reflective traffic signs, these are specifically illuminated with reduced power. The turning light of the Matrix LED headlights is produced by shifting the focal point of the light. Predictive route data provided by the optional MMI navigation plus allows this to be activated before the steering wheel is turned. The dynamic turn signals, which are produced by a row of sequentially activated light-emitting diodes, run from the inside out in the direction the driver is turning to send clear and intuitively understood signals to the surroundings. The new A5 Sportback* offers perfect build quality and optimum practical utility. The ambient lighting with 30 selectable colors provides scope for creating a fitting mood for the high-quality materials. The horizontal architecture of the instrument panel creates a sense of spaciousness. The new A5 has grown in virtually all dimensions. The interior has gained17 millimeters (0.7 in) in length. The shoulder room has also been increased for both the driver (plus nine millimeters (0.4 in)) and the front passenger (plus eleven millimeters (0.4 in)). Knee room in the back has even increased by 24 millimeters (0.9 in). The rear seat back splits 40:20:40 as standard. The load-area width measures exactly one meter (3.3 ft). The rectangular-shaped layout of the 480-liter (17.0 cu ft) luggage compartment makes it outstanding in terms of practical use. With the rear seats folded down, it can even accommodate 1,300 liters (45.9 cu ft). Audi also offers the option of sensor control for opening and closing the standard-fit electrically powered luggage compartment lid on the five-door coupé. A proximity sensor in the rear bumper responds to a kick movement if the optional convenience key is detected. Inside, the A5 Sportback features white LEDs as standard. The driver can operate the reading lights via sensors. At night, the interior lighting package or the ambient lighting are optional ways of setting accents. The latter changes the lighting color, with a choice of 30 hues. This can also be linked to the mode selected in Audi drive select. Slim LED light guides in the door trims create highly effective contours. Choice materials and colors emphasize the generous dimensions and elegance of the interior. There is a wide range of new colors and combinations to choose from in the sport and design trimlines, and in the S line and design selection packages. They afford plenty of scope for customization. Besides black, the instrument panel can be divided into two color zones with the design trim line: a dark upper area and a light lower zone. The colors of the lower zone of the instrument panel are repeated in the seat upholstery. A continuous air vent strip and the plunging center console underscore the impression of a floating instrument panel in the new Audi A5 Sportback. The control panel of the automatic air conditioning is another highlight, particularly with the optional deluxe automatic air conditioning, which has the digital temperature displays integrated into the control dials. Just a few buttons and dials are sufficient for convenient control. When a finger approaches one of the rocker switches, the function is shown enlarged on the dark LCD display and selected at the push of a button. Both the standard single-zone system and the triple-zone deluxe automatic air conditioning have been completely redesigned. Both systems have low energy consumption. They also provide extremely high air quality: In both fresh air and recirculating operation, an active-carbon combination filter removes the finest particulate matter. The new Audi A5 Sportback* has a large, easy-to-read analog speedometer and tachometer as standard. Between them is the display of the driver information system (DIS). In the basic version, the DIS monitor has a 5-inch screen diagonal. The color Audi MMI display in the center console measures 7 inches. MMI navigation plus (and Audi design selection) bring a color 7-inch driver information system and an 8.3-inch Audi MMI display on board. The Audi virtual cockpit is an alternative to the analog instrument dials for the new A5 Sportback. It assumes that MMI navigation plus with MMI touch is on board. The various display options bring the driver added convenience. Thanks to its resolution of 1,440 x 540 pixels, the large (12.3 inch) TFT monitor displays richly detailed graphics. The head-up display projects all relevant information onto the windscreen as easily comprehensible symbols and digits, minimizing driver distraction. The information appears to hover around two meters (6.6 ft) in front of the driver within a window area measuring 200 x 80 mm (7.9 x 3.1 in). The human eye registers the information extremely quickly – there’s no need to switch from the accustomed long-range vision. Audi’s top version is MMI navigation plus with MMI touch. In addition to the Audi MMI navigation features, it includes 10 GB of flash storage, a DVD drive, Audi connect services for three years, up to five free navigation updates (available at six-month intervals) and an 8.3-inch monitor with a resolution of 1,024 x 480 pixels. Audi MMI navigation plus works in close cooperation with many of the assistance and safety systems. It also incorporates the “personal route assist” function. The navigation system makes a note of routes and destinations that the customer regularly uses, and links this information with the parked position and the time of day. The system thus learns from the driver’s behavior and uses this information to suggest optimized route planning for the next trip – even if destination guidance is inactive. The navigation system builds the three most likely destinations into the calculation, taking account of both the arrival time and current traffic levels. The Audi connect SIM is permanently installed in the car. In Europe, customers receive the map as part of Audi connect. And from the date of purchase of the new car, a data flat rate complete with Europe-wide roaming is inclusive for three years. The driver does not even need to activate the card. An Audi service partner can reactivate the SIM for a fee at the end of the three-year period. The customer can also purchase additional data packages for the Wi-Fi hotspot via a special web portal, independently of the integrated Audi connect services. This allows the passengers to surf the internet from up to eight mobile devices. The range of Audi connect services is impressively diverse, from navigation with Google Earth and Google Street View to travel information, traffic information online and searching for a parking space or even Twitter. Audi has developed a purpose-designed interface for the social network. The functions included in the “Audi connect safety & service” package are likewise convenient and informative. These also include remote functions. For example, the customer can use the Audi MMI connect app to remotely access the vehicle status and locate the vehicle with Car Finder, as well as to lock or unlock the car. The package also includes the new functions emergency call, online roadside assistance and Audi service request. These services are available for a period of ten years. The free Audi MMI connect app for smartphones and smartwatches brings additional services on board and offers a wide range of possibilities. For instance, the smartphone transfers the driver’s appointment calendar to the MMI. The system reads out the place, time and purpose of an appointment. And the driver can transfer the venue of a meeting directly from his smartphone to the MMI as a navigation destination. 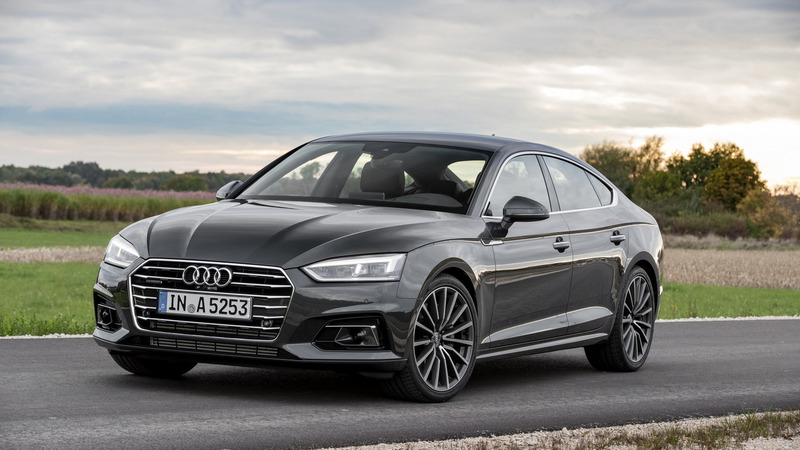 Apple CarPlay and Android Auto – the familiar smartphone environment is always on board the new Audi A5 Sportback, if desired. Smartphone content such as navigation, telephony, music and selected third-party apps appear with the accustomed smartphone look in a separate MMI window via the Audi smartphone interface. The Audi phone box with wireless charging in the center armrest wirelessly connects the cellphone to the car antenna by near-field coupling and delivers appreciably better reception quality. Provided the mobile device supports it, the box also enables inductive charging using the Qi standard. The Audi tablet in-car entertainment system represents another optional innovation for the new Audi A5 Sportback. The device, with its high-resolution 10.1-inch monitor (1,920 x 1,200 pixels), connects to the MMI navigation plus by Wi-Fi so it can access the Radio, Media, Navigation and Car menus. The rear passengers can for example plan a route and then send it to the driver. The driver can reciprocate by starting a radio or media program for them. The sound is output on the car’s sound system or via headphones. The Audi tablet uses the Android operating system. The technical core is the extremely high-performance Tegra 40 processor from NVIDIA. The 32 GB internal memory can be expanded with a micro SD card. The Android environment gives the user access to countless apps and games, films, music, e-books and Office applications. The integrated full HD camera can be used to make video calls. After the trip, the user can take the Audi tablet away and continue using it offline or on a Wi-Fi network. Together with its rechargeable battery, the Audi tablet is designed for use in the car. It can even handle high or very low temperatures without problems. The pivoting bracket on the back of the front seat meets the rigorous crash safety requirements. The aluminum frame is cut from a single piece – this underlines the sophisticated character of the Audi tablet, which is available individually or as a set of two. The new Audi A5 Sportback also sets entirely new standards in its segment for high fidelity audio. The optional 3D Bang & Olufsen Sound System offers a fascinating innovation – a sound that includes the spatial dimension of height. It utilizes four additional loudspeakers, two each in the instrument panel and the A-pillars. The 3D sound creates something that is completely new in a car: The music sounds like it is being played in a concert hall. The heart of the 3D Bang & Olufsen Sound System is a 755-watt, 16-channel amplifier that powers 19 loudspeakers. The Audi A5 Sportback* sets new standards in its class with an extensive choice of driver assistance systems. Some of the solutions are standard features, while the options can be ordered individually or are grouped together in the “Parking”, “City” and “Tour” packages. An intelligent combination of different technologies enhances safety, comfort and efficiency. Meanwhile the brand with the four rings is also taking the next step toward piloted driving. adaptive cruise control (ACC) Stop&Go including traffic jam assist plays a pivotal role here. This system relieves the driver in slow-moving traffic at speeds of up to 65 km/h(40.4 mph). It assumes the tasks of braking and accelerating the car, and also temporarily takes charge of steering on better roads. The car automatically follows the preceding line of traffic, within the system limits. The Stop&Go function brakes the vehicle to a stop and lets it start off again automatically at the driver’s request. The predictive efficiency assistant, unique in this vehicle class, helps by offering drivers situation-specific tips on how to save fuel. It evaluates GPS information in the immediate vicinity of the car. On highways it can improve fuel economy by up to ten percent in this way. When ACC is active, the assistant automatically adjusts the speed set by the driver in anticipation of the situation. The system detects bends, roundabouts, junctions, descents, settlements and speed limit signs. Audi offers a whole raft of innovative technologies for enhanced safety. The A5 Sportback comes standard with the Audi pre sense city system. It monitors the road at speeds of up to 85 km/h (52.8 mph), detects other vehicles and pedestrians, and initiates full braking in an emergency. Collision avoidance assist intervenes if the car has to drive around an obstacle to avoid an accident. Based on data from the front camera, ACC and radar sensors, it computes a recommended driving line within a fraction of a second. As the first line of action, the assistant alerts the driver to the danger with a warning jolt. As soon as the driver steers, the system helps to change lanes by intervening in the power steering system with specific intervention. Turn assist monitors oncoming traffic when turning left over a driving speed range from two to ten km/h (1.2 to 6.2 mph). In a dangerous situation, it brakes the car to a stop. The system comes on in the background as soon as the driver activates the turn signal to turn across the carriageway. The lineup is rounded out by other assistance systems such as exit warning, park assist, cross traffic assist rear, camera-based traffic sign recognition, Audi active lane assist and Audi side assist. The wide track and long wheelbase are key features of the balanced, sporty suspension tuning of the new Audi A5 Sportback*. The track measures1,587 millimeters (62.5 in) at the front and 1,568 millimeters (61.7 in) at the rear. The wheelbase is 2,824 millimeters (111.2 in). Updated five-link suspension is used on the front axle. The axle principle enables optimal absorption of longitudinal and transverse forces. Its mounts are sportily rigid in a lateral direction and supple and soft longitudinally.A hydraulic mount reliably eliminates vibrations. It offers optimal comfort combined with a high degree of agility. The newly developed electromechanical power steering helps to improve efficiency by trimming 3.5 kilograms (7.7 lb) off the weight of the previous model. It consumes little energy and has a direct, sporty ratio of 15.9:1. Power assistance is based on the vehicle’s speed. The steering provides highly precise feedback from the road and gives a spontaneous response. The optional dynamic steering uses a superposition gear to vary its ratio by up to 100 percent, depending on the car’s speed and the mode selected in the Audi drive select dynamic handling system. It also supports and enhances stabilization of the car with lightning-fast steering movements. At the rear of the new Audi A5 Sportback, a five-link axle replaces the trapezoidal-link axle of the previous model. Audi has used an intelligent mix of materials to reduce the weight of the axle components by an additional five kilograms (11.0 lb). Low unsprung masses combine with the new damper and elastomer bearing settings to produce a sporty driving experience and silky smooth travel. The variable suspension works with newly developed CDC dampers (CDC = continuous damping control). The pistons contain electromagnetically actuated valves that are very energy-efficient in their control. The central suspension control unit, the electronic suspension platform, processes all sensor signals within milliseconds and controls each damper individually. Together with the large spread of the damper valves, this provides a wide range between gentle rolling and firm body control, depending on the driving situation. The Audi drive select dynamic handling system is a standard equipment feature and comprises the comfort, auto, dynamic and efficiency modes, allowing the driver to influence the vehicle character. In individual mode, the driver can also adapt individual systems such as the engine or steering to their personal preferences. In the basic configuration, Audi drive select accesses the engine characteristic and the steering assistance. Optional equipment features extend its network. These include the automatic transmission, the cruise control or adaptive cruise control (ACC), the dynamic steering, the sport differential, the quattro all-wheel drive system with ultra technology, the Matrix LED headlights, the ambient lighting and the automatic air conditioning. The suspension with damper control is also available as part of the Audi drive select dynamic handling system. The base version of the new Audi A5 Sportback is factory-equipped with 17-inch forged lightweight wheels. The design and sport lines are equipped with 18-inch flow-forming cast aluminum wheels. Audi and quattro GmbH offer a wide range of optional versions. These wheels go up to 19 inches in size. All tires have been optimized for rolling resistance, which reduces CO2 emissions by an average of 2.8 grams per kilometer (4.5 g/mi). A wide range of brakes are also used. The TFSI with 140 kW (190 hp) has 16-inch floating caliper brakes on the front axle. Models with other engines are stopped by particularly lightweight, 17-inch aluminum fixed caliper brakes. Compared with the previous model, the brakes are a combined five kilograms (11.0 lb) lighter. On the front axle, the internally ventilated discs are up to 338 mm (13.3 in) in diameter. The electromechanical parking brake is integrated into the rear axle and features new holding and starting functions. The new Audi A5 Sportback* appears in two TFSI and three TDI engine versions. They produce between 140 kW (190 hp) and 210 kW (286 hp). Compared with the previous model, Audi has reduced their fuel consumption by as much as 22 percent while increasing power output by up to 17 percent. All engines comply with the limits of the Euro 6 emission standard. The standard, updated start-stop system includes changes that reduce fuel consumption. It already deactivates the engine when coasting up to traffic signals at less than seven (with S tronic) or three km/h (tiptronic) (4.3 or 1.9 mph, respectively). The new Audi A5 Sportback comes equipped with the 2.0 TFSI engine with a displacement of 1,984 cm3 in two performance versions. Its technical highlights include the exhaust manifold integrated into the cylinder head, the rotating core module for the thermal management system, the Audi valvelift system (AVS) for the exhaust valves, the turbocharger’s electric waste gate and dual injection. In the partial load range, indirect manifold injection supplements FSI direct injection. The top version of the 2.0 TFSI produces 185 kW (252 hp). 370 Nm (272.9 lb-ft) of torque is available between 1,600 and 4,500 rpm. Performance is sporty: With quattro all-wheel drive, it sprints from 0 to 100 km/h (62.1 mph) in 6.0 seconds on its way to an electronically limited top speed of 250 km/h (155.3 mph). The unit consumes 5.9 liters of fuel per 100 kilometers (39.9 US mpg), which corresponds to 136 grams of CO2 per kilometer (218.9 g/mi). The second version of the 2.0 TFSI has an output of 140 kW (190 hp). 320 Nm (236.0 lb-ft) of torque is available from 1,450 to 4,200 rpm. The power unit is both agile and thoroughly economical. These characteristics are the result of a new strategy: the continued development by Audi of successful engine downsizing into rightsizing. The trailblazing efficiency of the 2.0 TFSI with 140 kW (190 hp) is the result of an innovative combustion principle. The comparatively high displacement is no handicap here – in fact, it is essential. Customers of the new Audi A5 Sportback enjoy the advantages of a small-displacement engine when driving at moderate speeds, without having to compromise when it comes to sporty driving. Because this unit still awaits homologation, no consumption data is available for it yet. The 1,968 cm3 four-cylinder TDI in the new Audi A5 Sportback develops 140 kW (190 hp). Peak torque of 400 Nm (295.0 lb-ft) is available between 1,750 and 3,000 rpm. With quattro all-wheel drive and the seven-speed S tronic, from 0 to 100 km/h (62.1 mph) takes 7.4 seconds. Top speed is 235 km/h (146.0 mph). In combination with the seven-speed S tronic and front-wheel drive, the 2.0 TDI consumes just 4.2 liters of fuel per 100 kilometers (56.0 US mpg) according to the NEDC standard, a CO2 equivalent of 109 grams per kilometer (175.4 g/mi). High and low-pressure exhaust gas recirculation and sophisticated exhaust gas treatment including an SCR system (SCR: selective catalytic reduction) provide for low emissions. Audi also offers the 2.0 TDI in an ultra version – its presence is indicated by a badge on the rear end. ultra stands for the most efficient versions of a model line. Modifications to the transmission ratio, optimized streamlining of the body and suspension as well as the use of low-rolling-resistance tires help to further reduce consumption. The new Audi A5 Sportback 2.0 TDI ultra with front-wheel drive and manual transmission consumes just 4.1 liters of fuel per 100 kilometers (57.4 US mpg) (108 grams of CO2per kilometer (173.8 g/mi)) in the NEDC cycle, which sets the benchmark in the competitive field. The two six-cylinder TDI power units offer a blend of power, refinement and impressive efficiency. The 3.0 TDI calls upon a displacement of 2,967 cm3 and is available in two performance versions. The first variant of the 3.0 TDI produces 160 kW (218 hp). Its torque of 400 Nm (295.0 lb-ft) is available between 1,250 and 3,750 rpm. In the NEDC cycle, the new Audi A5 Sportback consumes just 4.6 liters of fuel (51.1 US mpg), corresponding to CO2 emissions of 119 grams per kilometer (191.5 g/mi). 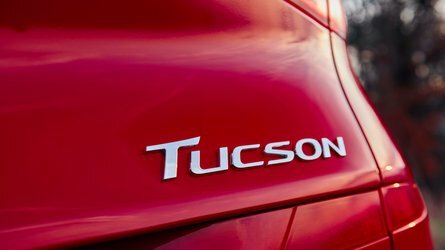 The new top TDI increases power output by an additional 30 kW (41 hp) for a total of 210 kW (286 hp) and offers 620 Nm (457.3 lb-ft) of torque between 1,500 and 3,000 rpm. This power unit will follow only after market launch and is still awaiting homologation. For this reason, no consumption data is available for it yet. Audi’s development engineers have extensively updated numerous aspects of the new 3.0 TDI with 210 kW (286 hp). They have optimized combustion chamber filling, the charge cycles and thermal management. The result is increased performance coupled with a further reduction in fuel consumption. Close-coupled catalytic converters treat the exhaust gas effectively. The top diesel version contains a newly developed turbocharger that is 20 percent lighter, with variable turbine geometry (VTG) and a maximum boost pressure of 3.3 bar. The developers put a lot of work into optimizing the gas flow, with the result that the engine responds highly spontaneously to the accelerator. Six-speed manual transmission, seven-speed S tronic and eight-speed tiptronic, in combination with front and quattro all-wheel drive: In the new Audi A5 Sportback*, each engine version comes with tailored power transmission technology. New efficiency-optimized six-speed manual transmissions with injection lubrication are used. The housings are made extensively from ultra-lightweight magnesium. The new seven-speed S tronic is available with all engines except the top TDI and the S5*. The dual-clutch transmission is standard with the 3.0 TDI with 160 kW (218 hp). The S tronic, which supersedes the continuously variable multitronic, offers impressively high efficiency. The most important improvements are further reductions in friction, the low weight, a highly efficient oil supply and dual-mass flywheel with a centrifugal force pendulum, which allows for very low engine speeds while driving. An eight-speed tiptronic features in the 3.0 TDI with 210 kW (286 hp) and the S5. Audi has completely reengineered the smooth, rapid and spontaneously shifting torque-converter transmission. Thanks to the high number of gears, the engine is kept running almost constantly at the ideal load point. An rpm-adaptive torsion damper balances out undesired engine vibrations and enables efficient driving at extra-low engine speeds. 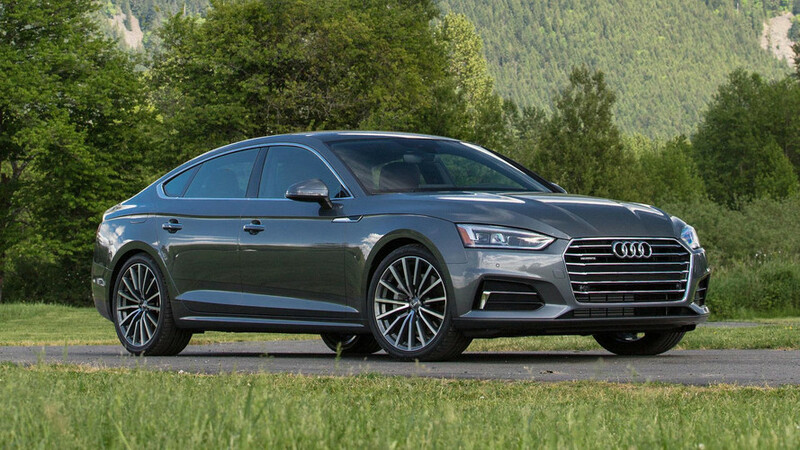 The new Audi A5 features front-wheel drive as standard. quattro all-wheel drive with wheel-selective torque control is available as an option. It is standard for the 3.0 TDI with 210 kW (286 hp). The new quattro with ultra technology is available for the TFSI and TDI four-cylinder engines with manual transmission. The efficiency-optimized all-wheel drive system does not perceptibly differ from permanent systems in terms of traction and driving dynamics. 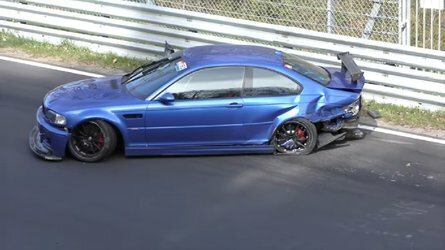 This is all thanks to the combination of the newly developed all-wheel drive components with a sophisticated operating strategy and a torque split perfectly matched to the car. The all-wheel drive system’s intelligent control works predictively, always looking ahead by means of a comprehensive array of sensors and the continuous analysis of the driving dynamics, road condition and driver behavior data collected. All engine variants of the Audi A5 Sportback with S tronic or tiptronic continue to be equipped with quattro permanent all-wheel drive. It is an extremely reliable mechanical system. Designed as a planetary gear, the self-locking center differential funnels 60 percent of engine torque to the rear axle and 40 percent to the front during normal driving. When it redistributes the power, up to 70 percent can go to the front and up to 85 percent to the rear. It enables a clearly defined distribution of drive torque and precise interplay with the control systems. As an option for the top TDI and the S5, Audi complements quattro all-wheel drive with another dynamic technology component – the sport differential. It uses two superposition gears to distribute torque between the rear wheels. The latest generation of the differential is roughly one kilogram (2.2 lb) lighter. During fast driving, the sport differential literally pushes the car into the curve, nipping understeer in the bud. When turning into or accelerating in a curve, most of the torque is directed to the outside wheel. The central suspension control unit (electronic suspension platform) again takes care of constantly calculating the ideal distribution in terms of driving dynamics. The new Audi A5 Sportback* is in top shape; despite the greater dimensions, the model weighs up to 85 kilograms (187.4 lb) less than its predecessor. The entry-level TFSI with 2.0 liter displacement and 190 hp has a curb weight of just 1,470 kilograms (3,240.8 lb). Its body is the lightest in the segment. Thanks to lightweight construction and an intelligent mix of materials, it weighs 15 kilograms (33.1 lb) less than in the predecessor model. The rear lid is made from aluminum, saving another six kilograms (13.2 lb). In fact, Audi has designed the entire interior to be lighter. The substructure of the front seats is made of high-strength steel and the frame of the through-loading facility in the rear seat is made of magnesium. This produces a saving of ten kilograms (22.0 lb) in the seats compared with the previous model. A weight-optimized carpet, an aluminum brake pedal and foamed defroster ducts make the car even lighter. The excellent torsional rigidity of the body is the foundation for highly precise driving response and peace and quiet on board. Switchable engine bearings deliver exemplary comfort during idle. The sealing concept for the doors is highly complex, and an acoustic windshield is standard. The result is a very high standard of acoustic comfort. As well as weight reduction, the low drag coefficient also contributes to efficiency. Above all at high speeds, the meticulously engineered aerodynamics translate into superior fuel efficiency. 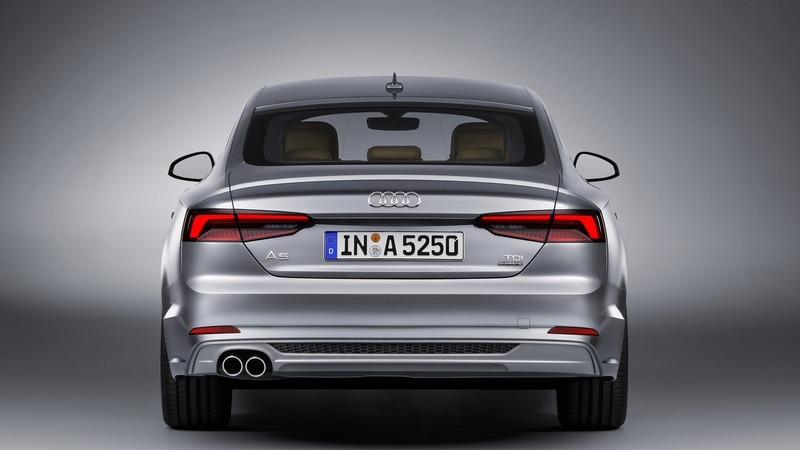 With a cD value of 0.26, the new A5 Sportback is right at the forefront of the field of competitors. It also achieves top marks for passive safety. In the interior, the adaptive occupant restraint system for the front seats offers outstanding protection. It adjusts the effect of the front airbags and the seat-belt force limiters to the seating position of the driver and front passenger as well as to the type of frontal collision. Audi offers the new A5 Sportback* with an upgraded list of standard equipment that includes a wide range of extra functions. These include xenon headlights with LED daytime running lights and LED rear lights, Audi MMI radio plus with 7-inch color display, Bluetooth, a three-spoke leather multifunction steering wheel (including shift paddles in models with automatic transmission), front center armrest, folding rear seat back with 40:20:40 split, and LED interior lighting. Also standard are the Audi drive select dynamic handling system, the assistance systems Audi pre sense city and multicollision brake assist system, and the variable speed limiter. The new lines concept increases the customization options. The design and sport lines, plus the design selection and S line packages, offer customers unprecedented scope for customization. The new Audi A5 Sportback will roll into showrooms in Germany and other European countries at the start of 2017. The basic price is EUR 37,800. The A5/S5 models from Audi have enjoyed tremendous success ever since their introduction in 2007. The Sportback and Cabriolet followed in 2009. The S5 Sportback appeared on the market that same year – with a 3.0-liter V6 engine complete with compressor supercharging. Its output data: 245 kW (333 hp) and 440 Nm(324.5 lb-ft). To date, Audi has sold over 340,000 of the A5/S5 Sportback, with almost 800,000 customers having opted for the A5 model line overall. The Audi RS 5 Coupé* as the model athlete and the RS 5 Cabrio* as an open-top, high-performance model have been fascinating customers with supreme performance since 2010 and 2012 respectively. Their 4.2 FSI power unit, a high-revving, naturally aspirated V8 with 331 kW (450 hp), accelerates them from 0 to 100 km/h (62.1 mph) in 4.5 seconds (Cabriolet: 4.9 seconds). Top speed can be optionally increased to 280 km/h (174.0 mph). Audi is further expanding its g-tron fleet. 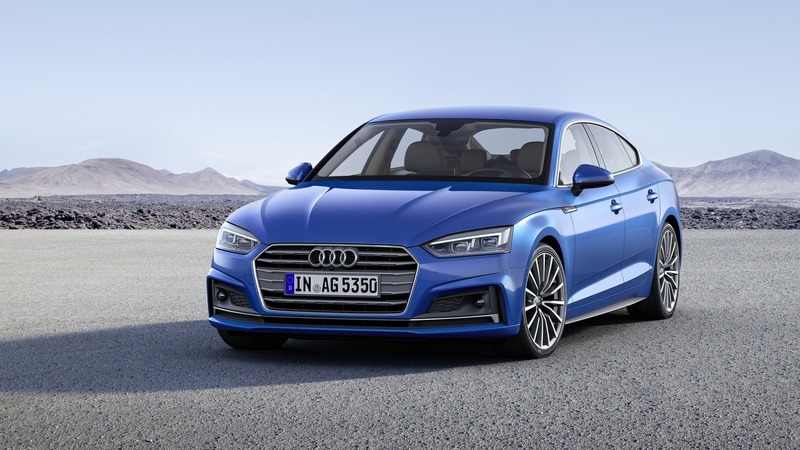 The Audi A5 Sportback g-tron*, alongside the A3 Sportback g-tron* and the A4 Avant g-tron*, is now the third model that customers can run on a choice of climate-friendly Audi e‑gas, natural gas (CNG) or gasoline. The A5 g-tron is powered by a 2.0 TFSI engine. It develops 125 kW (170 hp) of power and 270 Nm (199.1 lb-ft) of torque. With CO2 emissions of just 100 grams per kilometer(160.9 g/mi) (with S tronic), Audi is the first premium manufacturer to offer a gasoline engine in the B segment that achieves lower emissions than a comparable diesel engine. The newly developed engine is based on the gasoline-powered 2.0 TFSI: Here, too, the innovative combustion process is used. It features a shortened compression stroke and a long power stroke as well as an increased compression ratio that has been specially designed for part load operation, by far the most common operating mode. The intake valves close much sooner than usual. In combination with increased pressure in the intake manifold, this reduces throttle losses during intake. The tanks for the gas fuel in the A5 Sportback g-tron are located beneath the rearward structure. They store 19 kilograms (41.9 lb) of gas at a pressure of 200 bar and are of an extra-lightweight design. The inner layer consists of a gas-impermeable polyamide matrix, while a second composite layer of carbon fiber reinforced polymer (CFRP) and glass fiber reinforced polymer (GFRP) gives the tank its extremely high strength. The third glass fiber layer helps to visualize any external effects. Epoxy resin is used to bind the fiber reinforced materials. In the standard driving cycle the A5 Sportback g-tron uses less than four kilograms (8.8 lb) of gas per 100 kilometers (62.1 miles). So the customer benefits from extremely low fuel costs. In the NEDC cycle, the bivalent g-tron model running on natural gas covers up to 500 kilometers (310.7 miles). When the pressure in the tank falls below 10 bar with about 0.6 kilogram (1.3 lb) of gas remaining, the engine management automatically switches to gasoline operation. This makes an extra range of 450 kilometers (279.6 miles)available. The drive unit’s high efficiency means low costs of ownership: Compared with an equivalent gasoline engine, fuel costs are markedly lower, and the reduced CO2 emissions place the vehicle in a more attractive tax bracket. The new Audi A5 Sportback g-tron is not only remarkably economical to run, it is also exceptionally clean. Nor does driving enjoyment draw the short straw. In conjunction with the S tronic transmission, the A5 Sportback g-tron accelerates from a standstill to 100 km/h (62.1 mph) in just 8.5 seconds. The A5 Sportback g-tron is especially eco-friendly when running on Audi e‑gas. This is a first for virtually CO2-neutral long-distance mobility. Audi produces the fuel at several power-to-gas facilities using renewable energy, water and CO2. This method enables the brand with the four rings to transform surplus renewable energy into a storable product. At the same time, Audi is determinedly continuing its research into e-fuels. Together with venture partners, the company has now come up with a new method of producing e-gas. This will assure future supplies for the growing number of g-tron models in circulation. In the new technique, Audi e-gas is obtained by biological methanation involving microorganisms. Compared with the previous chemical process, the gas is now produced at a much lower ambient pressure and at lower temperatures.